We provide a wide variety of jute tapes, which are available in different widths, various patterns like vertical stripes, self-prints, single-strips, multi-strips and many more. We assure that our products would comply with the set global standards and would be cost effective. Pioneer in the industry, we are engaged in presenting an impeccable range of Jute Ribbons. These ribbons are designed using quality jute, cloth, threads and other materials that help in strengthening the ribbons. Veteran professionals use modern technology and advanced sewing machines for crafting and stitching the ribbons. We are one of the leading manufacturer and supplier of a wide range of Jute Tapes. The team of experts work with the sole aim to deliver quality assured goods to the clients. These products assure a pleasant and long-lasting performance to the users. Jute tape, Jute Tree tie, Jute Bandage, Jute scrim, Jute Ribbon, Jute strap used as decoratives, tree ties & wrapping. 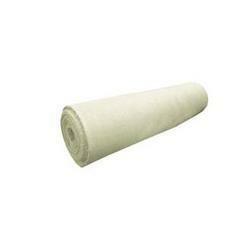 We are offering a wide range of Jute Rolls. Appreciated for being durable and handy, these can also be availed by our clients as per the specifications provided by them. Our jute can be tailored as per customer specifications in terms of size. We are offering Jute Tape to our Client. 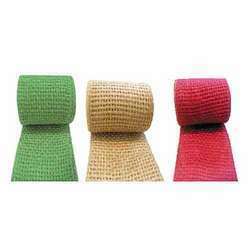 We are a well-renowned organization in the industry to provide our patrons the best quality array of Jute Burlap Roll. We provide Jute Ribbons to clients. We are a unique name in the market to provide our respected customers an exclusive range of Jute Fabric Roll.